Bermuda and the Bahamas: Caribbean or Not? Are Bermuda and Bahamas in the Caribbean? Often you will see Bermuda and the Bahamas grouped in with Caribbean islands, however, the two distinctive travel destinations are not in the Caribbean Sea. Both travel hotspots are located in the North Atlantic Ocean. The confusion started with travel marketing brochures and websites that put all the region's island in one list when marketing to consumers. The Caribbean Sea region is situated largely on the Caribbean plate. The region comprises more than 700 islands, islets, reefs, and cays. It is southeast of the Gulf of Mexico and the North American mainland, east of Central America, and north of South America. Both the Bahamas and Bermuda are to the north of the Caribbean Sea. Bermuda is roughly at the same latitude as Savannah, Georgia, about 650 miles off the American East Coast, while the Bahamas sit just off the coast of southern Florida (about 50 miles) and are scattered south toward Cuba and Hispaniola (Haiti and the Dominican Republic). Besides being confused as Caribbean islands, other commonalities between the two: Bermuda and the Bahamas are located within the mysterious Bermuda Triangle, and both are loyal to the British crown. Bermuda is a British Overseas Territory and the Bahamas are a Commonwealth realm. 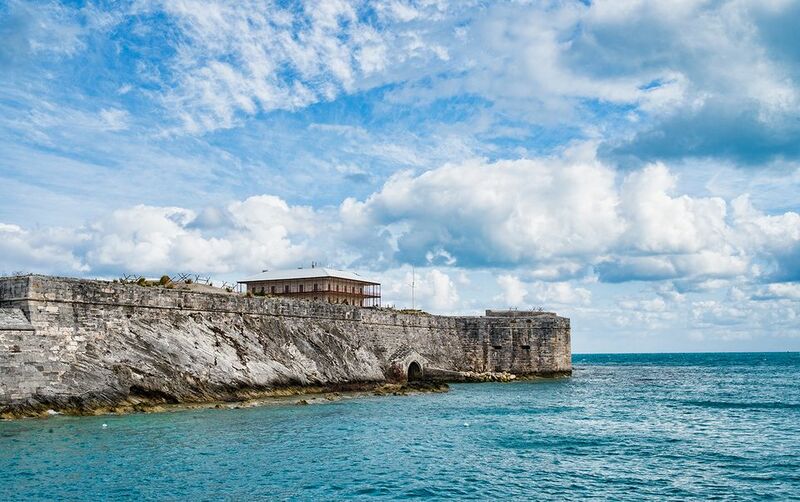 Bermuda is considered more of an upscale outpost, making it more in line with Martha's Vineyard or the Hamptons than Freeport or Nassau in the Bahamas. It is often pricier to travel and stay in Bermuda. Due to its more northern location, the island gets cool in the winter time, therefore, the vacation season there is shorter than in the Bahamas. Though Bermudians seem more buttoned up, do not let the Bermuda shorts fool you. Bermudians still like to have a good time. The island's most famous bar, the Swizzle Inn, promises that you'll "swizzle in and stumble out." Bermuda is one island. The Bahamas are comprised of more than 700 islands, only 30 of which are inhabited. Bahamians tout their sports fishing, international resorts, and local Junkanoo (Carnival) celebrations. Junkanoo is a traditional Afro-Bahamian street parade of 'rushing', music, dance and art held in Nassau (and a few of the other islands) every Boxing Day and New Year's Day. Junkanoo is also used to celebrate other holidays and events such as Emancipation Day. A notable aspect of the beaches of both destinations is the difference in the sand. Around the world, Bermuda is known for its pink sand beaches. This hue is no trick of the eye, it is the result of the shells of a tiny organism called the red foraminifera, which has a red coloring that mixes with the white sand by way of the waves. You will find some pink sand in The Bahamas, however, it is only on the Bahamian out-islands: Eleuthera and Harbour Island. Otherwise, the sand is usually tan colored throughout the Bahamas.